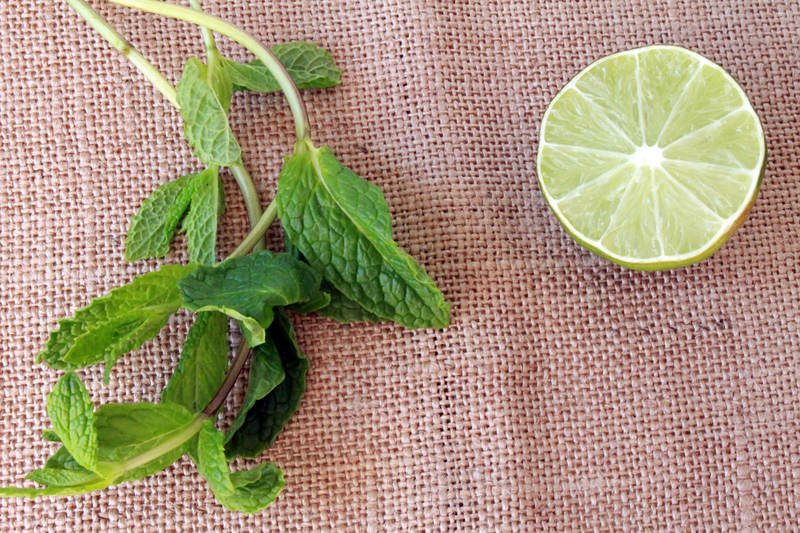 Squeeze juice from half a lime into an empty cocktail glass. 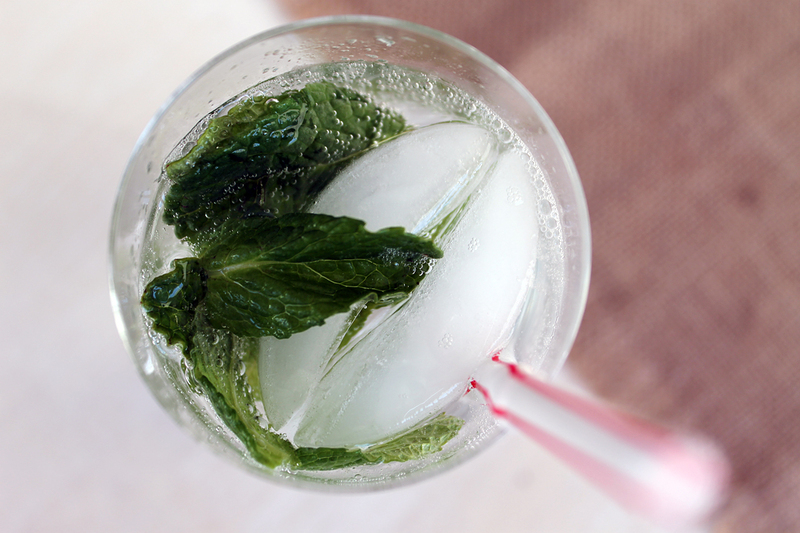 Add mint leaves and muddle. 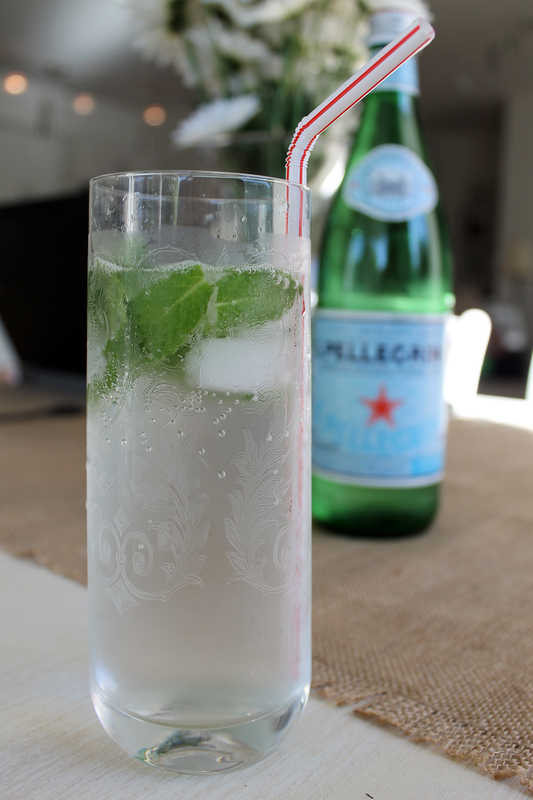 Fill glass with sparkling water and add ice. Stir.